The 19-year-old 'ISIS soldier' was being monitored with an electronic ankle tag after he was arrested for twice attempting to flee France to join the terror group in Syria. Despite having been released early from prison, Kermiche's bail conditions allowed him to roam unsupervised between 8.30am and 12.30pm, leaving him free to murder the priest in the attack carried out between 9am and 11am. 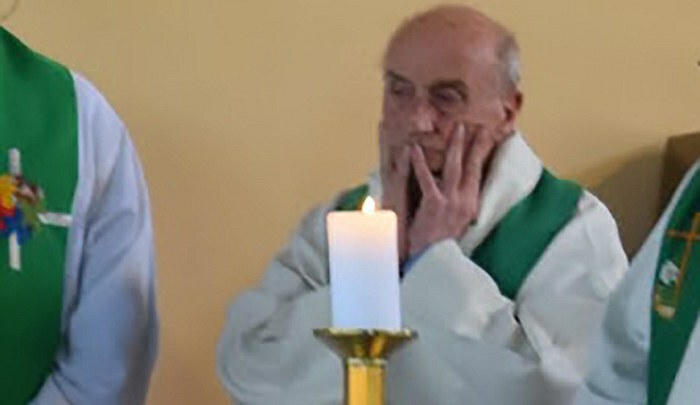 Kermiche and his accomplice - also known to French police - forced 84-year-old Father Jacques Hamel to kneel before filming themselves butchering him and performing a 'sermon in Arabic' at the altar of the church in Saint-Etienne-du-Rouvray, according to witnesses.